Kauai holds many secrets and unique treasures, including ⅓ of all the endangered species in the United States. Our in house Biological Technician, Al Silva, has taken great care to protect the 5 endangered water birds on our property, and ensures, “that the Timbers Kauai development plan includes wildlife bird protection as a top priority.” Timbers Resorts and Al believe, “protecting these species is our kuleana, or responsibility, as stewards to this land.” We at Timbers Kauai not only want to protect these birds, but celebrate them as treasured residents at our resort, so if you’re considering ownership, perhaps you’d like to familiarize yourself with your new neighbors. 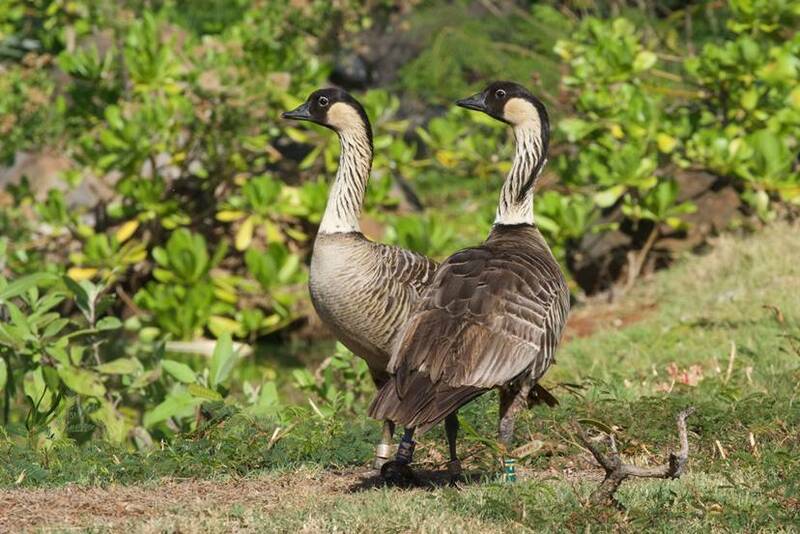 The Nene, or Hawaiian Goose, is most often identified by the distinctive pattern on its long neck. The Nene gets its name from the soft sound of its call, not much of a quacker like its mainland relatives. You may run across the Nene while playing a round on the Ocean Course or while exploring the lagoons. 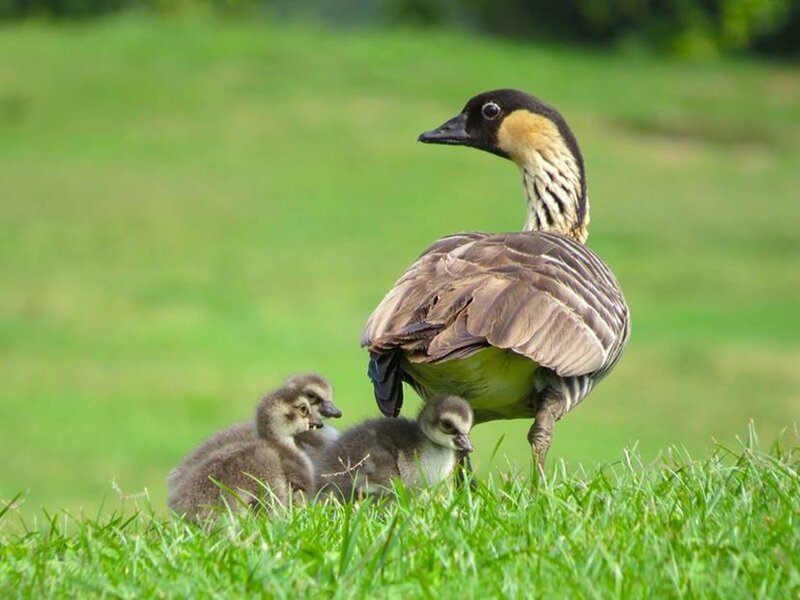 If you do spot Hawaii’s State Bird, snap a pic from afar and respect the Nene, as this is the world’s rarest goose. 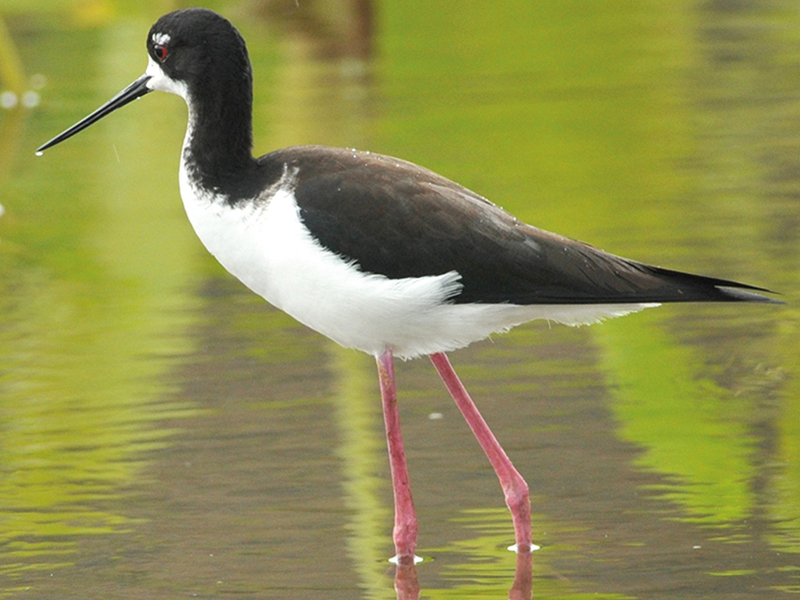 The Aeo might be your nosiest new neighbors—with such long legs the Aeo could take a peek right into your lanai! The Aeo is typically identified by its long legs and long nose, but its striking red eyes are also quite a distinguishing feature. The Koloa isn’t just hard to find because it’s endangered, it’s quite a skittish bird. 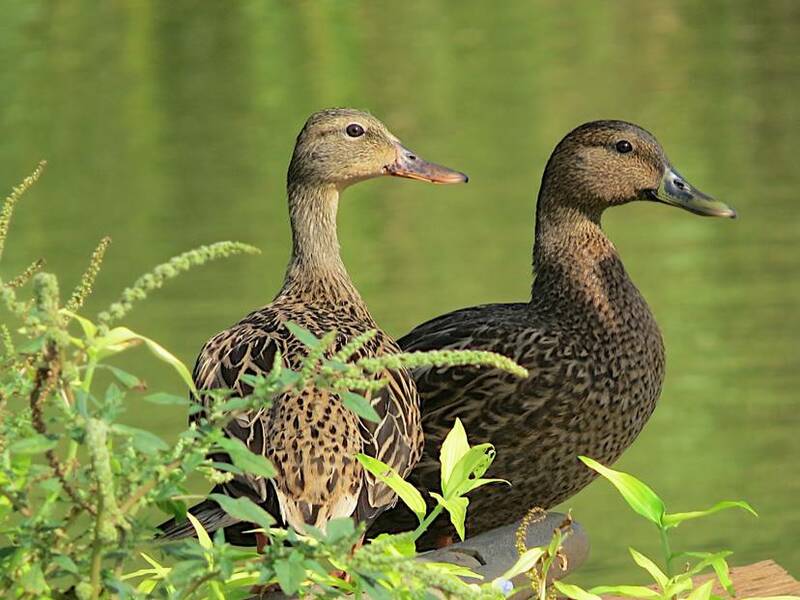 Usually found in in pairs, the Koloa keep to themselves, and though they look quite similar to our common mallard, there is a key difference. The Koloa does not migrate, and neither would you if you lived in Hawaii! Native Hawaiians considered the Hawaiian Coot to be a deity, and with its otherworldly facial features we can see why. The white frontal “shield” is the distinguishing characteristic of the Hawaiian Coot. 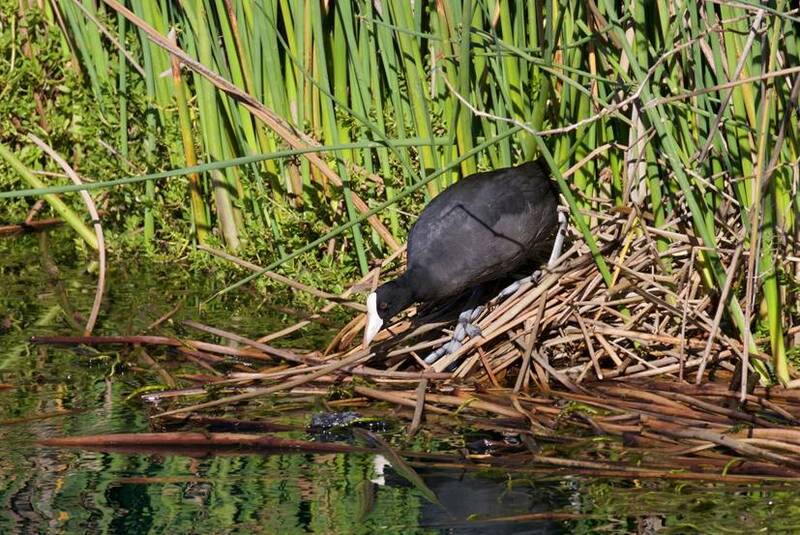 While the Hawaiian Coot is mostly found in Kauai, this bird likes to make trips to other islands and will travel to find more food. The Hawaiian Gallinule is known locally as ‘alae’ula which means, burnt forehead–maybe they’re trying to serve as a reminder to wear sunscreen while enjoying the beach! 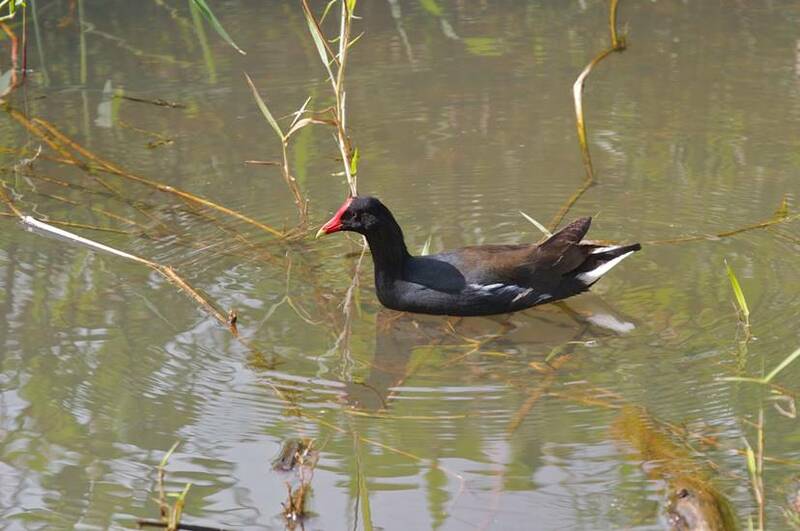 Though the Gallinule sticks out like a sore thumb, it mainly stays inland in the marshes, so count yourself lucky if you spot this red-faced waterbird. How do we protect these birds? Al puts it best: “We make sure that the area and water is always clean. We keep bird predators like cats, dogs, mongoose, chickens, and rats away from the birds. We have educational signage on the property as well as drive slow warnings and traffic control. The entire Hokuala staff is properly trained in bird identification, bird safety and protocols.” And of course, sharing this story with you is the first step so that you too can contribute to the conservation of Kauai’s precious wildlife.